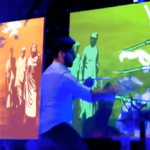 Are you looking to book the world’s best projection MAPPING speed PAINTING performer for your event? 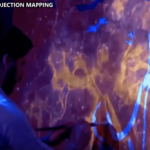 How can a projection MAPPING entertainer create an artistic display? 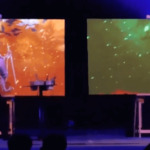 Having an illusion performance created by one of the world’s top speed PAINTING entertainers without a doubt creates an incredible stage performance at any type of event. 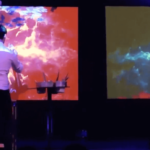 This creative artist has the ability to create and paint a PAINTING within minutes whilst the audience is being entertained by a projection MAPPING display. The types of events that there’s projection MAPPING speed PAINTING performer has entertained at includes corporate events, private events, product launch events and award ceremony events. 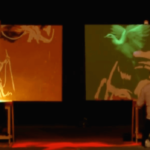 The speed PAINTING professional lays out the canvases and begins to create a PAINTING that cannot be seen by the human eye simply because there are projected images that are being projected onto the canvases whilst the speed PAINTING entertainer is creating his masterpiece. 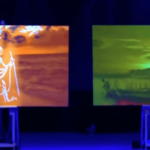 Images that are projected onto a canvas depict the final creation so that there is some sort of a buildup before the reveal of the final masterpiece. 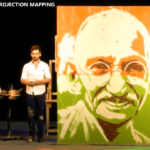 This specialist projection MAPPING speed PAINTING performer really enjoys and it shows when he performs creative portraits of famous people. 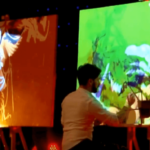 As a professional speed painter he can create a portrait of a celebrity or a famous historian within 5 to 7 minutes and at the end of his performance the guest or the client is able to keep the finished PAINTING. 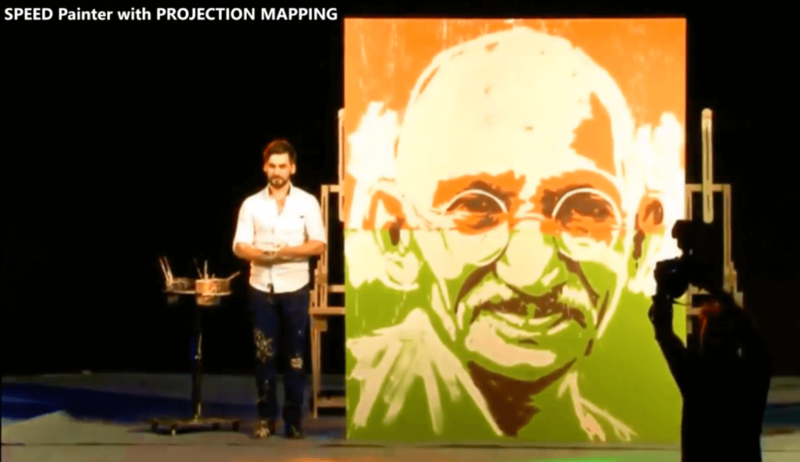 Famous people in his speed PAINTING repertoire include Mahatma Gandhi, Michael Jackson, Robert De Niro, Nelson Mandela, Madonna and many more. This entry was posted in Entertainment, Streets Utd News and tagged event entertainment projection mapping, live stage entertainment, live stage projection mapping, portrait speed painting, projection mapping entertainers, projection mapping speed painting entertainer, projection mapping speed painting performer, speed painting entertainer, speed painting entertainment, speed painting performer.